With My Minds Eye Sweetest Thing Lavender paper collection, specifically the 6x6 pad (of which I bought 2!). I cannot remember the last time that I had so much fun creating with just one paper line, the colours are soft and pretty and the patterns are just perfect! I'm still 'experimenting' with embossing powders, it just seems to be the one thing I can't seem to do properly (as evidenced by the faded doily edge at the bottom). 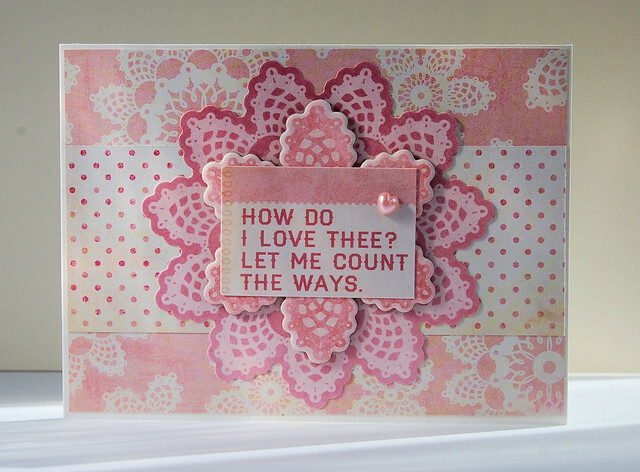 This was made using the Lavender 'Cutie Pie' stamp set which I adore. They are just so delicate and lacy and look fabulous when stacked on top of one another. I intend to make these into a cut file on my silhouette so I can die cut and stamp to my hearts content. I do love the colours on this, especially the new Morocco memento ink. 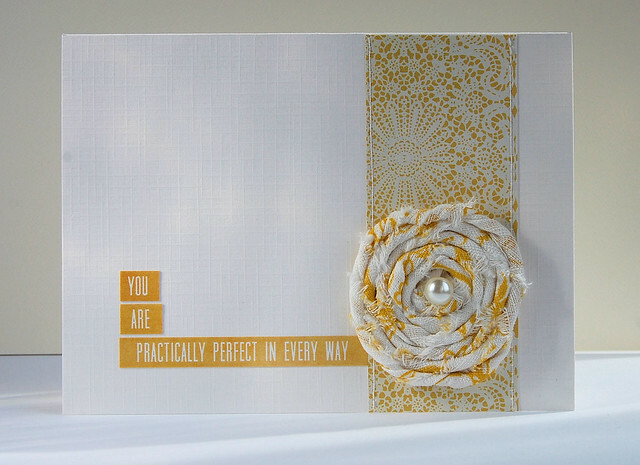 And they look great when stamped with kraft coloured ink on kraft paper. 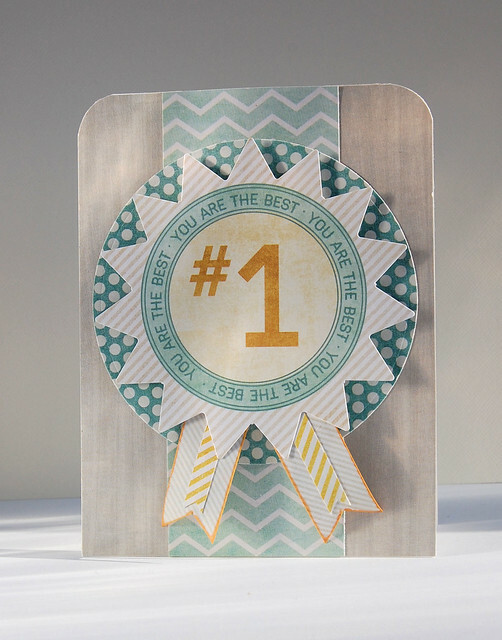 This card was made to use up scraps from the first card. 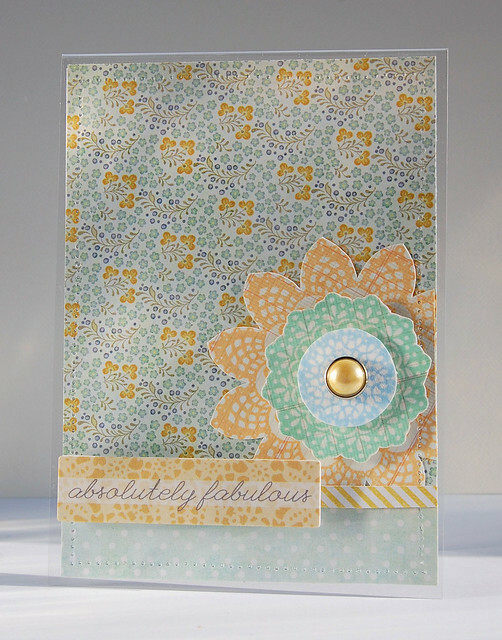 I went with a clear cardstock base on this card, not a good choice as I completely covered it in paper. I think the stamps look so fresh in these colours. 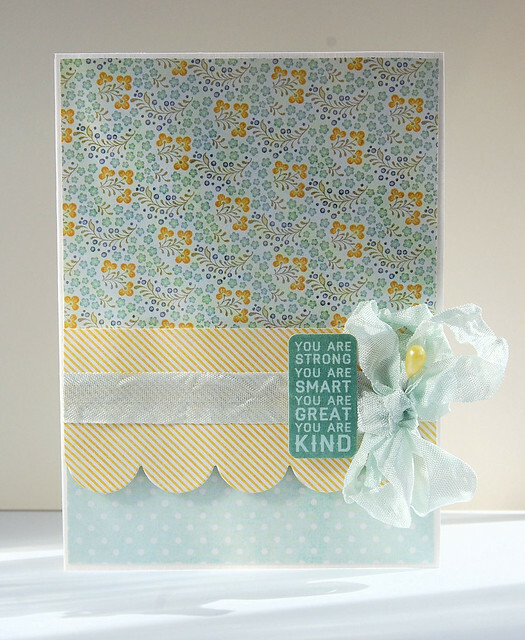 Love ruffly seam binding ribbon! I love the sentiments that come on the tiny word stickers. One in particular 'tender hearted' I am saving for a card for my mum as it is such a great description of her. 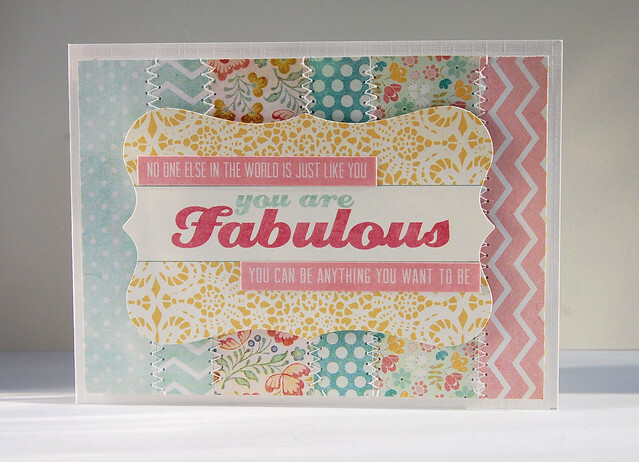 I started playing with scraps, cutting them into matchstick strips and adhering to the card base. 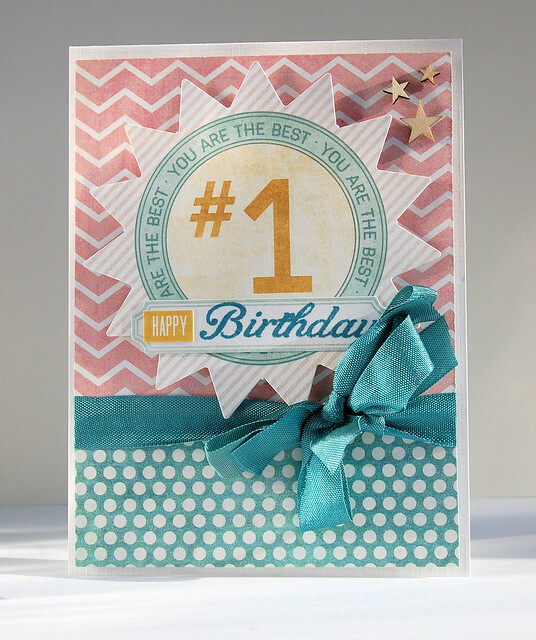 I am always in need of cards for birthdays and the die cut #1 seemed to be a perfect fit when coupled with the tiny word sticker and label. I think this one is quite girly so I tried a more 'unisex' version here..
Have I exhausted you yet? There are another 4 cards that aren't shown as they have been submitted for a publication call, which brings the grand total to 15 cards made! PS - Do you tweet? Come chat with me on Twitter! In a word...WOW! What a lovely collection of cards. All so beautifully made too. The doily stamps are particularly glorious! Wow! You sure were busy and not lacking any ideas either. Great set of cards. All so different too. Love your choice of pattern papers. 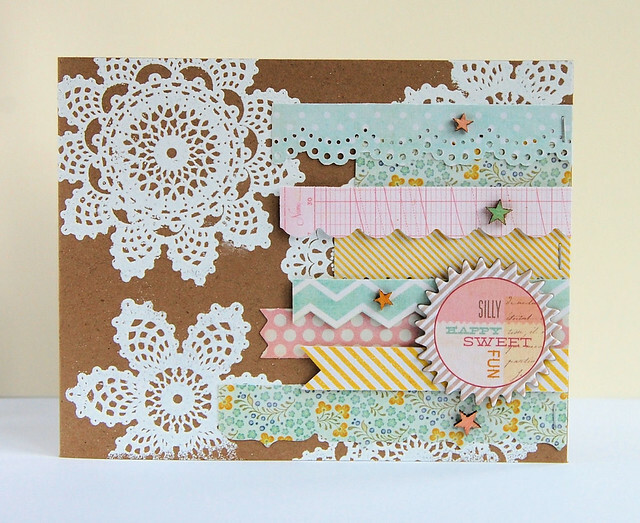 Love the way you have used the doily stamps! Great selection of cards. Woah! That's a lot of cards & they are all beautiful. 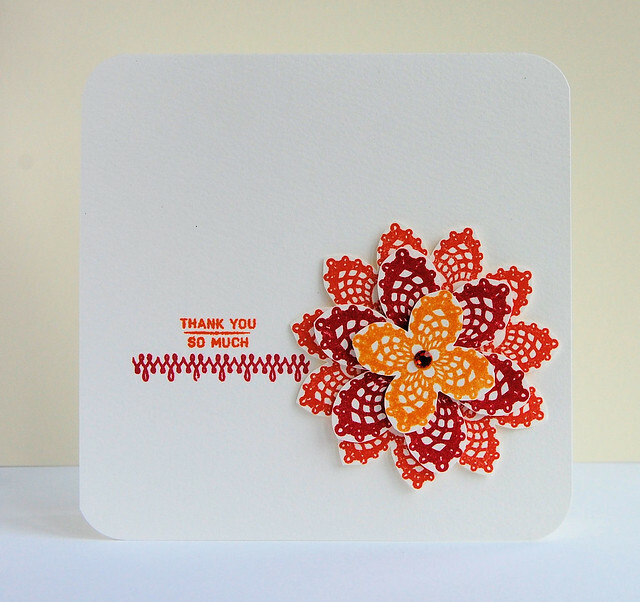 Love the doily stamps you've used, I think I may need some of those. Wow, these are all amazing! I got the honey 6x6 pad, but now you have me thinking that I need the lavender one, too! Oh wow a lovely bunch of cards. Well done. Love your cards and I too am a fan of the latest MME lines. They are so stunning. Can't wait to see more of your work! How awesome!!! I love all of you cards! I have the Sweetest Things collection too. 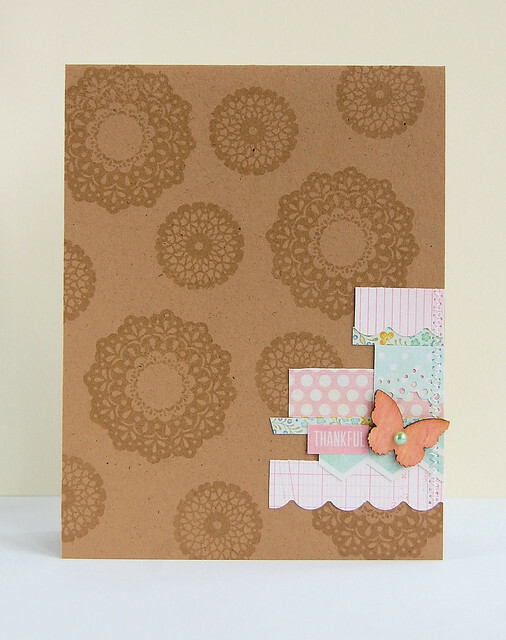 Wow!You've been really busy and this is a fabulous collection of cards.My favourite is the one with the stamped medallions and butterfly. 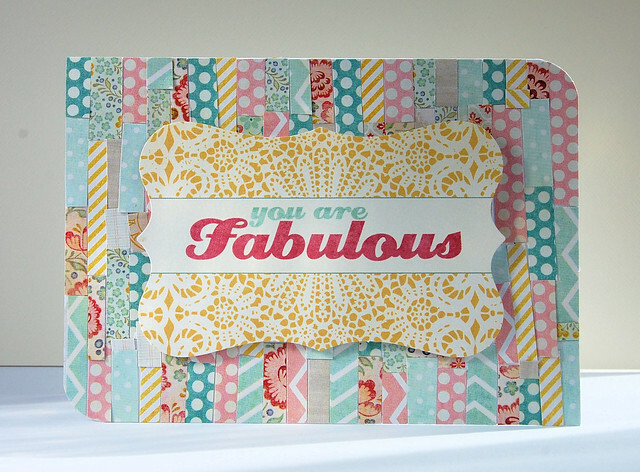 Fantastic cards - great work to get so many lovely things made in a weekend. I love to read all your comments and will answer any questions! 7 more cards for Valentine's Day. A return to crafting...and blogging!